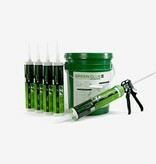 Green Glue Noiseproofing Compound is a unique damping product that is ideal for new construction and renovation projects. It is the most popular and cost-effective soundproofing material on the market. The compound’s unique properties act as a damping material to dissipate the vibrations caused by sound waves as they travel through ceilings, walls and floors. Green Glue Noiseproofing Compound is non-hazardous, environmentally-responsible, and has practically no odor. It is a cost-effective solution that gives you peace of mind—literally. It also adds value to your home or commercial space. 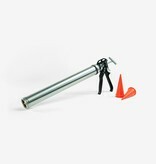 The Green Glue Pail Gun is designed to allow users to apply Green Glue from 5 Gallon Pails to surfaces. 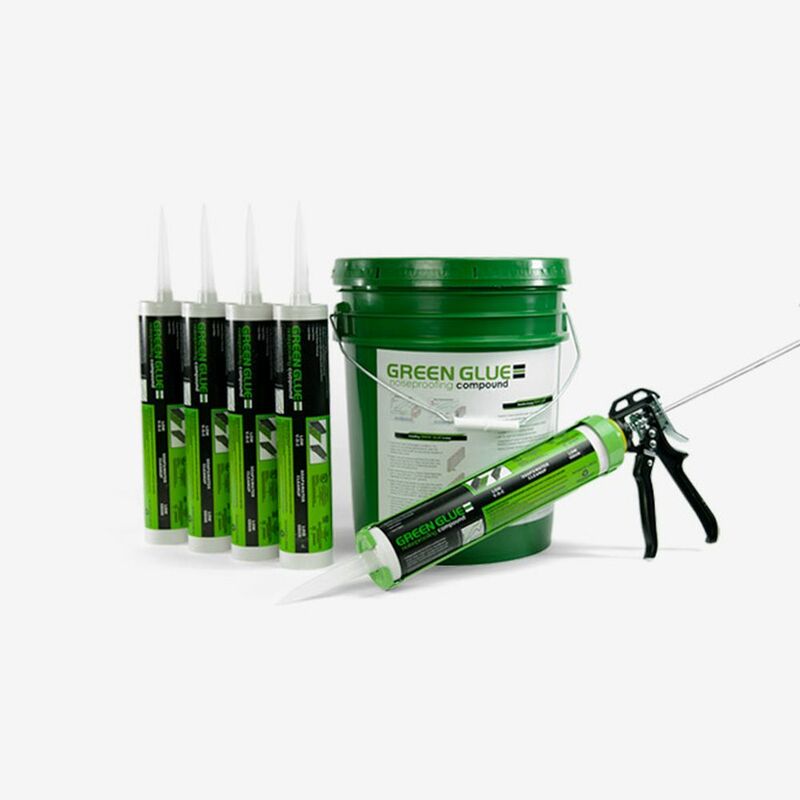 It takes just a few minutes to apply Green Glue Noiseproofing Compound to an average piece of drywall (or other rigid construction material). It’s easy to soundproof a room in one day, or less. For best results, cure time is seven days, and the Compound reaches its peak performance 30 days after application. Whether you’re an experienced construction professional or a handy DIY kind of person, using Green Glue Noiseproofing Compound is a cinch. All you need is a standard quart-sized calking gun to apply a layer of compound between two pieces of drywall or other construction material. It also cleans up easily with just soap and water. Independent lab tests prove that using Green Glue Noiseproofing Compound dissipates up to 90 percent of noise. Unlike other soundproofing products, Green Glue Noiseproofing Compound is ideal for dissipating low frequency noise common with home entertainment and theater systems.